If you have been arrested or have charges filed against you by the government, you have constitutional rights that are guaranteed to you. Choosing the best legal representation is a vital step in ensuring your rights are upheld to the upmost justice in the legal system. 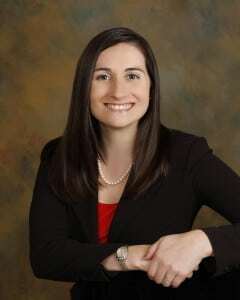 I am Jessica Travis, a criminal defense attorney in the Central Florida area. Being a former Florida state prosecutor at the Orlando State Attorney’s office, I acquired vast knowledge of the criminal justice system and gained valuable trial experience that I now use to defend those in need. I am currently Board Certified by the Florida Bar in Criminal Trial Law. Under the Florida Bar, lawyers who hold a Board Certification in this law are identified as Specialist or Experts in the field of Criminal Trial Law. With a Board Certification in Criminal Law, the Florida Bar recognizes the knowledge, specialty, and expertise that a Board Certified attorney has in the area of Criminal Trial Law. I am a fighter who understands how attorneys on both sides of a criminal case think and work. Having practiced extensively in both criminal defense and prosecution, I understand how criminal cases are tried and the legal tactics both sides use. After graduating from Stetson University in 2004, I attended Barry University School of Law in Orlando, Florida. While earning my license to practice law, I was an active member of the mock trial team, where I learned valuable skills in trial advocacy. After graduating from Barry University School of Law and passing the Florida Bar, I worked for the Office of the State Attorney of Florida as assistant state attorney. While there, I prosecuted cases in the 9th Judicial Circuit of Florida, ranging from second-degree misdemeanors to first-degree felonies. I handled more than 30 jury trials and numerous adversarial hearings. I have also concluded thousands of prosecutions during my legal career. I later joined an Orlando law firm as an associate managing its criminal defense division. I have worked solely to defend clients against criminal charges and probation violations. Fighting for my clients and their rights is immensely satisfying to me, and it is what I do best. Retain my services, and you will receive one-on-one attention from beginning to end of your legal journey. In my spare time I enjoy traveling, reading and playing with my two dogs JP and Pepper. Know the Ground You’re Standing On: Analyzing Stand Your Ground and Self-Defense in Florida’s Legal System, Barry University Law Review, Vol.20, No.1.